Start a gift-giving tradition in your family of giving books. Shop for the perfect gift book for your spouse or parent and take your child along. Let him or her look at the books and brainstorm with you for the right selection. This will show your child that reading is a valued activity that holds a special place in your family. The book here is a wonderful pre-reading book with a message of love that extends to all ages. 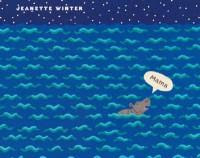 It is the story of a baby hippo that became separated from its mother during the tsunami. The baby hippo is rescued and becomes attached to an adopted mama, who is a 130 year old tortoise. A Hippo and Tortoise, the true story. Interestingly, I read a nice blog posting from a parent who read the story to her adopted daughter from China with quite good results. Here is a link to her post.